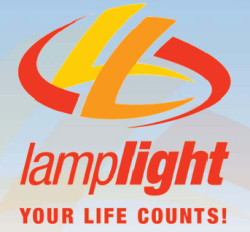 Lamplight was federally registered as a charitable organization in 1992 and is based in Ontario, Canada. Lamplight is registered as a 501c3 in the USA and as a charity in the UK & New Zealand with associated chapters developing around the world. Lamplight’s underlying mission is the prevention of suicide among teens and young adults. We don’t focus on suicide but on the root causes such as depression, low self esteem, low self image and other causative factors. Lamplight helps to keep teens alive. Lamplight also helps parents to understand their teenagers. Essentially we help to steady families to see beyond their immediate situation, to stay together and to believe they have a future. Lamplight builds hope, boosting self esteem and self confidence, educating and helping teens to make responsible choices –some of which can literally mean the difference between life and death. Some of our teens simply don’t know what’s right and what’s wrong -and some feel they will never make a meaningful contribution to society ..we are helping to steady our youth so that they are alive today and alive tomorrow. Our core life affirming message is ‘Your Life Counts!’ - a message that needs to be reinforced and heard over and over again. We aim to brand this message into the hearts and minds of our young people to encourage them not to consider suicide as an option because they know they are valued and that help is available to help them navigate the twists and turns of life. Our teens are our future leaders, workers, decision makers -they are our future-the future of our world community and we need to invest in our teens, today.